The Woods of Landis Lakes is a beautiful, sought after residential community in eastern Jefferson County. Established in 2001, the neighborhood is located near the intersection of English Station Road and Shelbyville Road. The Landis Lakes Recreation Association encompases Landis Lakes, The Woods of Landis Lakes, and Academy Ridge, and maintains a Jr OIlymipc size pool and clubhouse for these communities to utilize. 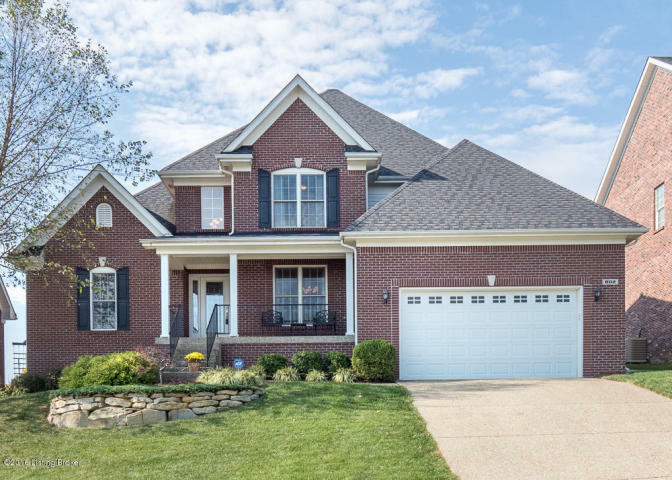 Many homes in this area feature modern amenities such as vaulted ceilings, open floor plans, spacious master suites, and large lots with beautiful trees. In addition, the neighborhood is close to the Gene Snyder Freeway, providing easy access to anywhere in the city in mere minutes! Currently, Family Realty has a fabulous home for sale at 802 Inspiration Way. Priced at just $359,000, this 4 bed/3.5 bath home is a steal compared to other homes in this neighborhood! This home was made for entertaining - the open kitchen flows into the living room and then outside to the patio and fenced in yard. Mud room with laundry is located off the garage. Spacious master suite on first floor. Large bedrooms with ample closet space on second floor. Mostly finished basement provides additional great room for entertaining with a wet bar, plus another finished office/bedroom and bath, and still more room for a playroom. Contact Family Realty to schedule your showing today!